Northeast America, ca. 18th/early 19th century. Staved construction with beautifully done button-hole hooped joinery. 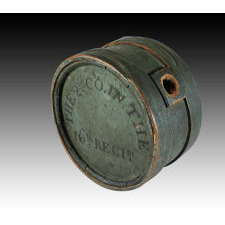 Very dry original soft blue paint oxidized to green with blue highlights. Skillful black-paint labeled: THE 2nd CO. 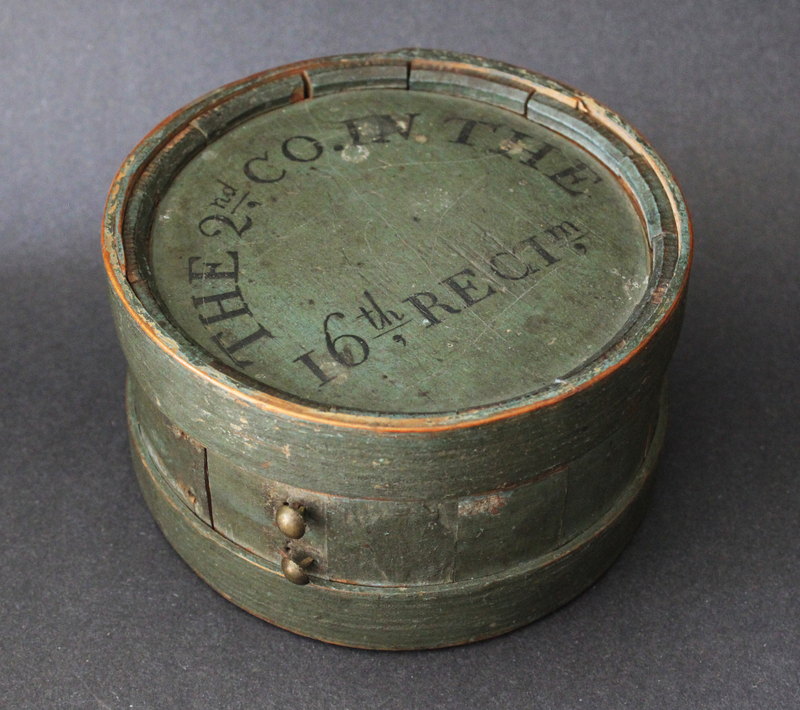 IN THE 16th REGIMENT. 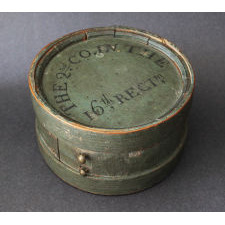 Later family label on the back "Canteen carried by Harvey H. Sargent in the Civil War 1861-1865". 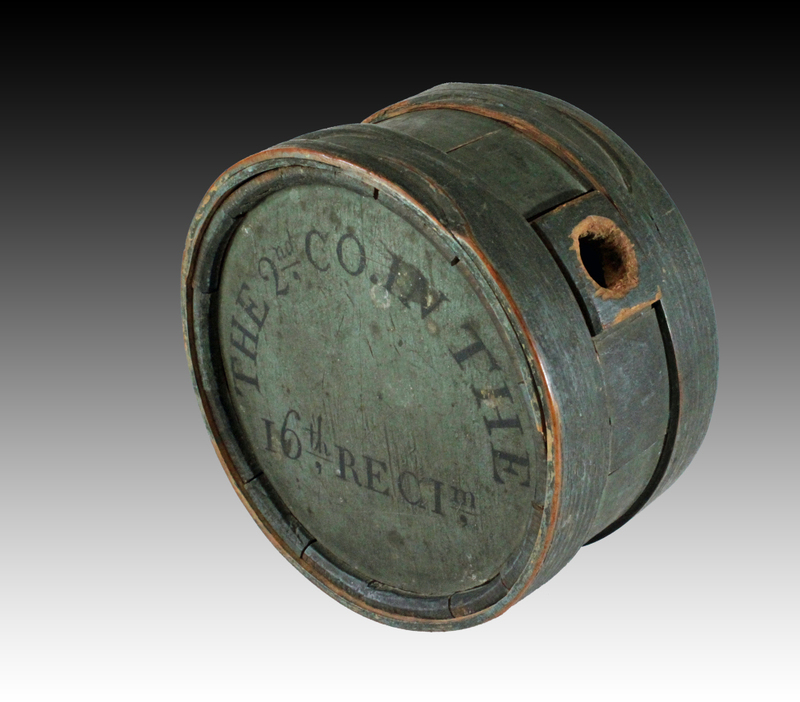 The form, the paint, and especially the style of the lettering strongly support an 18th to early 19th century making. 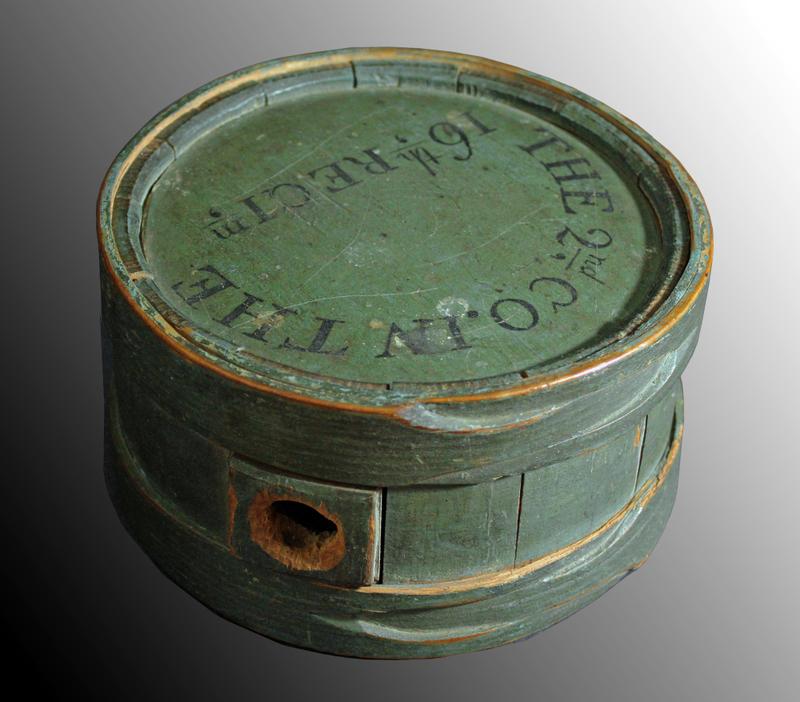 Consensus is that this canteen was made and labeled in the 18th/early 19th century, then carried in the Civil War by Sargent as a keepsake or good luck piece, perhaps as a gift from an ancestor. Superb solid, uncompromised condition missing only the leather strap. About 6 3/8 inches diameter x 3 3/8 tall. 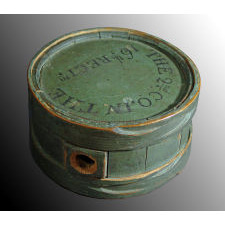 This canteen is one of the finest to be found owing to its great form, condition, blue-green paint, and remarkable lettering.